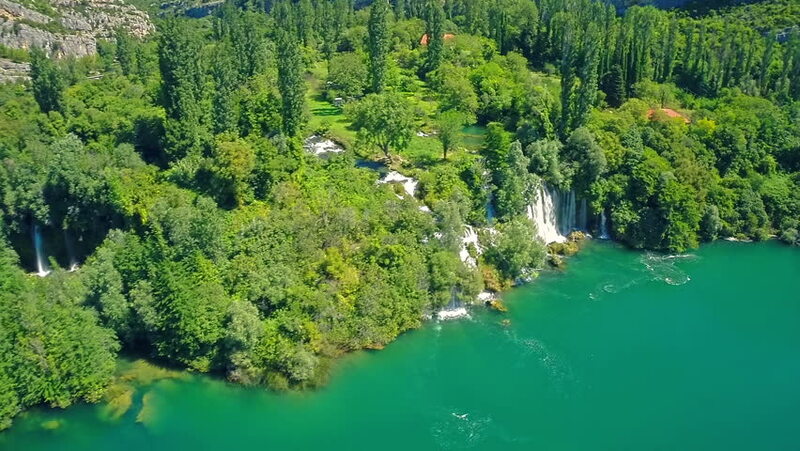 Copter aerial view of the Roski Slap on river Krka landscape on the beautiful summer day, National Park of Croatia. hd00:09Copter aerial view of the waterfall Roski Slap on river Krka. 4k00:11Waterfall in green rainforest. Bolinao waterfall in the mountain jungle. Philippines, Luzon. Travel concept. 4k00:37Jarun island of love - spring 2016. Zagreb - Croatia.